In the last piece we looked at what will be shown at SIHH the week commencing Monday January 19th 2015 from A Lange & Sohne and also Audemars Piguet. This time around we will take a look at the favourite offerings from Cartier, IWC and Jaeger-LeCoultre. Let’s get started! Once again Cartier have pushed the boat out with what appears to be 4 different pieces just for SIHH. There is now an additional Astrotourbillon in skeletonized form, the Dali-esque Crash Squelette, Reversed Tourbillon and the Annual Calendar. 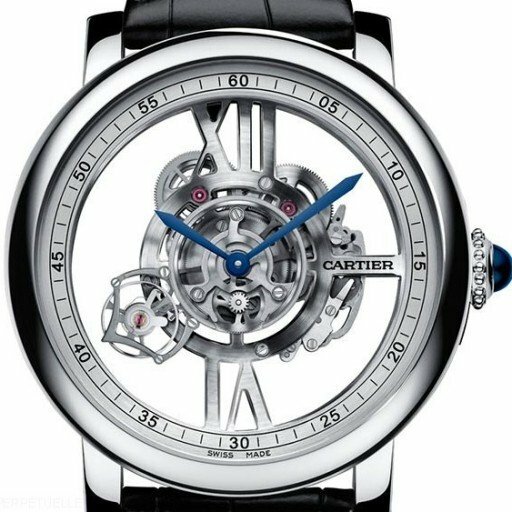 Cartier have done well in recent times with their designs and also innovations, for me it is very hard to choose my favourite between the Astrotourbillon Skeleton and the Annual Calendar. 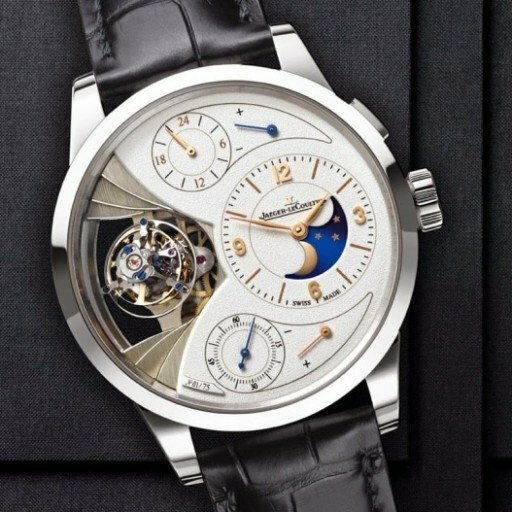 Notably for different reasons as the Astrotourbillon is just plain crazy and the Annual Calendar for its’ functionality. The new Astrotourbillon skeleton fits beautifully inside a Rotonde de Cartier case featuring a 47mm diameter in white gold. Limited I believe to 100 pieces. The dial and caliber are one, using the oversized roman numbers for 12 and 6 as connections to the periphery of the dial/case. It makes the whole watch so sparse, yet achingly stunning. The Japanese sometimes say that the gaps between are just as important as what has been filled. In this case it is very true. This extreme of this watch is obviously the movement and how it looks, but like all things mechanical, it is in the movement of it. Hopefully we will get a chance to share with you a video of how this thing dances around the dial. Simply gorgeous. My other favourite is the new version of the Cartier Rotonde Annual Calendar, evolved from the 2012 edition. This new version is sized at a lovely 40mm case which makes it a full 5mm smaller than the last one. The days are now indicated on the periphery with a red marker, the months are on a disc just under the central axis for the hands, and the presence of the big date is just under the 12 o’clock position. It seems much simpler, yet giving full detail rather than the cluttered look from 2012. A new calibre has been designed to power this new arrangement offering a power reserve of 48 hours, and all features are controlled by the single crown. Which is remarkably large, with its’ customary cabochon on top. Another stunning piece, Cartier are having a great year so far! It might be the year of the Annual Calendar, as it would seem IWC has gotten in on the act with their own version of an annual calendar. This year it is the Portuguese which has had the attention, and about time too. The first annual calendar from IWC ever, it takes a more classical take on this popular complication rather than the completely re-designed layout of the piece from Cartier. At 12 o’clock there are 3 apertures which show the month, date and day, whilst at the 9 and 3 positions are the small seconds and the power reserve respectively. In my mind this is in no way as nice as Cartier’s as there appears to be too many random additions, much like the need to place on the dial Annual Calendar? Surely we know what we are getting, it is like putting CAR on to your automobile. It confuses me no end, but it is nice to see that IWC have brought out an annual calendar. I hope it is not the last as they will need to tweak a few things to make the future iterations much more desirable. One of my favourite brands, the watchmakers who make watches for watchmakers. They have taken an interesting direction with one of the releases for this year. The Master Calendar Meteorite Stone Dial is as it says, a Master Calendar with a meteorite stone dial. The dial is patterned beautifully though what it adds to the watch I am uncertain. Granted the striations and patterning are organic and add interest to what would have been quite a plain dial but that seems to be it. Enough about the Master Calendar, I would like to comment a bit more on the piece I am a bit more excited about. Before I write anything though, take a quick look. Simply put this is a Duometre Spherotourbillon with a moonphase complication added. If this is the first time you have seen one, it can take a little while to see everything that is in it. From the bi-axial tourbillon to the small seconds, power reserve and obviously the time. The tourbillon cage is beautifully framed by the ‘steps’ above and below which look like a fan of stairs leading to the main event. Limited to a grand total of just 75 pieces means that even if you could afford one, only 74 other people will potentially be wearing the same watch as you. Well that is assuming you have not decided to buy two! JLC has done it again by adding another complication on top of an already amazing piece. One of my favourites from this SIHH preview, JLC love the Duometre / Spherotourbillon family so much that they have even dedicated a whole website to it! Part three next will take a quick look at Panerai, Piaget and any miscellaneous I may have missed. See you then!